I originally intended to write this pattern for just a California King size and a Queen size, but once I got going I couldn't stop. 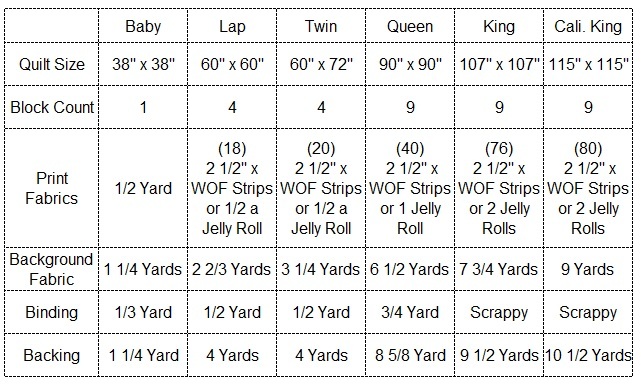 So the pattern actually has 6 sizes, others sizes include Baby, Lap, Twin, and King. 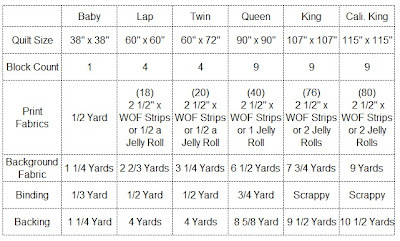 The pattern also goes over detailed instructions on how to strip piece each size to help save tons of time in stitching. I am so happy to have finally finished this!! I will be honest, pattern writing, not so much fun for me. But I loved seeing all of the finishes from my class yesterday so that makes it worth it ;) I have always loved this quilt design and now I totally want to make it in a baby size for a good friend who is expecting. I just need to wait to find out if it is a girl or a boy. I have listed this pattern at a temporary discounted price of $6.00. I will keep it at this price until Valentine's Day, and then it will be listed at my regular pattern price of $7.50. Patterns can be found here. Purchase pattern from Etsy - Emailed within 24 hours. I so appreciate all of the kind comments that I have been sent my way on this design. It really is one of my favorite designs I have created and will always have a special place in my heart as it was my first official teaching opportunity. I hope you like it too :) Have a Happy Quilting Weekend!! oh wow. 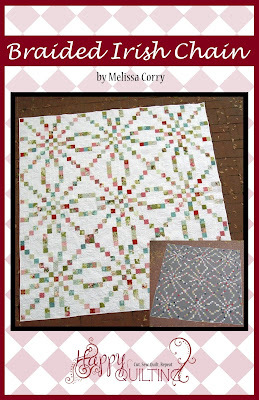 my favorite simple Celtic pinwheel quilting motif in a pieced block--amazing! thanks! going on the to-do list. goal this weekend? download this pattern, quilt background flames on little fire truck quilts, and do the Starburst flying geese! Awesome pattern.I have bought and printed it, next I have to make this. I have been looking for the "right" pattern to make for 2 sweet nieces. I think we all battle procrastination in some way! You are not the Lone Ranger there:) It is a very pretty pattern!! That would be such a neat baby quilt! Will grab the pattern and put on my to-do list. I want to make this one for a housewarming gift for my daughter who will be moving into her new house soon. She is going to love all the white and scrapiness!